Kevin R. Magill, Ph.D. is an Assistant Professor of Secondary Education. His areas of interest and specialization include Teacher Education, Critical Theory/Pedagogy, Social Studies, Literacy, Reform/Policy Analysis, and Cultural Studies. Broadly, Dr. Magill's research examines the relationship between ontology, ideology, and pedagogy among pre and in-service teachers. He explores how these factors relate to the teaching of civics, social studies, and connect to community knowledge. His most recent scholarly works include "The primacy of relation: Social studies teachers and the praxis of critical pedagogy" with Professor Cinthia Salinas and "Critically civic teacher perception, posture and pedagogy: Negating civic archetypes" published in Theory and Research in Social Education and The Journal of Social Studies Research respectively. He also recently published a co-edited book with Professor Arturo Rodriguez called, Imagining Education: Beyond the Logic of Global Neoliberal Capitalism. Prior to his appointment at Baylor, Kevin served as an Instructor at The University of Texas at Austin. Dr. Magill taught courses in Instructional Design, Multicultural Education, Social Studies Methods, and Sociocultural Influences on Learning. He has worked as a teacher educator with Social Studies, Bilingual, Literacy, and Elementary cohorts. Prior to his doctoral work, Dr. Magill worked as a teacher in public, private, middle, and high school contexts. He taught Social Studies, English Language Arts and Opportunity/Intervention in California. Dr. Magill currently serves on the Editorial Advisory Board for the Journal for Critical Education Policy Studies (JCEPS). 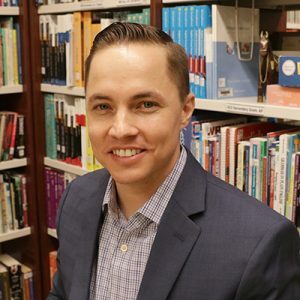 In addition to a Ph.D. from The University of Texas, Dr. Magill holds a Masters Degree in Education from The University of California, Davis and a Masters Degree in Public Administration from California State University, Stanislaus.